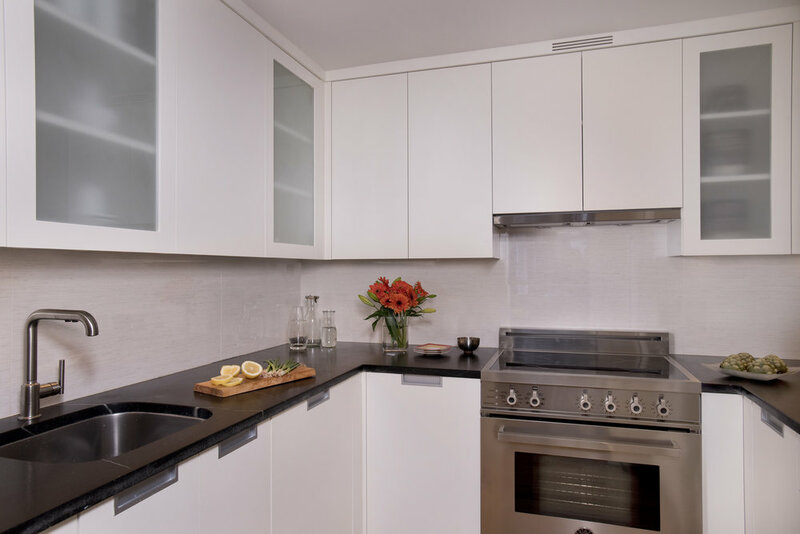 A new take on an old beauty; this project included a new custom kitchen, a new master suite and revitalized finishes throughout the parlor level Back Bay apartment. This is the new chic place to spend time with the clients’ Boston-based family. A challenging and tiny U-shaped kitchen becomes a sparkling bright space with every convenience hidden behind each surface. Electric baseboard heaters are hidden with custom-designed millwork covers, just seem as if they have always been there. The master bath with walk-in shower is the showcase for a feature wall of gorgeous, fresh, textured tile. 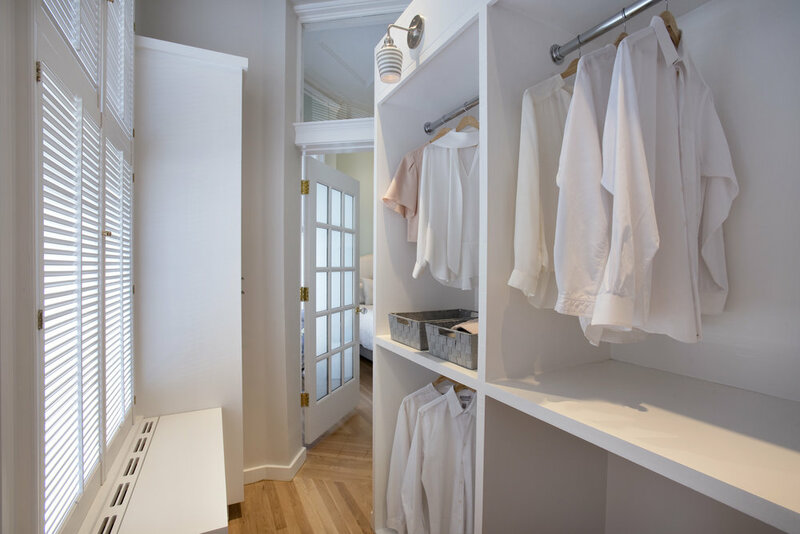 The rear porch bay is fitted out as a walk-in master closet with ample hanging space, a bench/laundry hamper, shoe shelving, and cabinet space.